Knowing that summer is coming to an end is hard, so use your videos and photos to keep it alive!…How? We’ve found a new app called TINE, which lets you store any video, audio recording or photo in a little sticker called a TINE tag. Click here to download the app for iPhone or Android. Stick a TINE tag on anything. 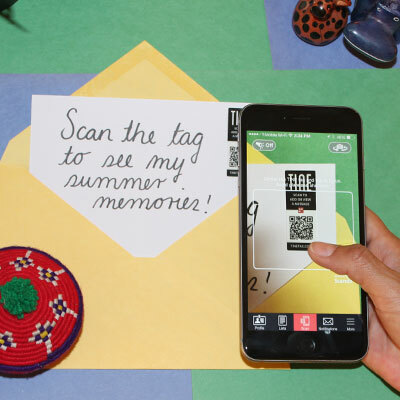 Scan the TINE tag with your phone. Record a video, audio or photo message and save it to the tag, or upload a file from your phone. Use TINE whenever you give a souvenir to your friends, and fill it with your best photos and videos! 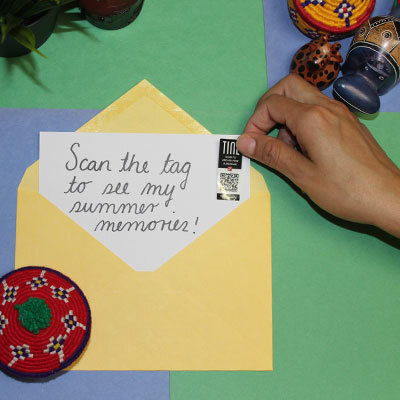 You can also keep some TINE tags around your room to keep your summer memories alive for the rest of the year! Download TINE and order your tags before they set up a waitlist! Also take a look here for other ways to use TINE tags! Click to download the app for iPhone or Android, and order tags for free directly from the app.